Founded in 2017, The School of Height is the inception of a specialist training facility withÂ emphasis on a hands-on and practical scenario training environment that simulates actual eventsÂ and real-world situations. 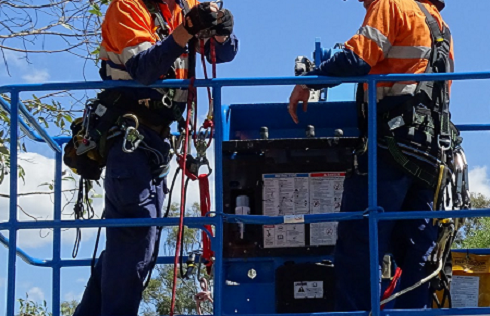 The foundation of this concept was developed on the requirement for industry to be able to notÂ only undertake nationally recognised training in height safety and rope positioning that reflectsÂ adequate simulation of work environments, but also meets the requirements of AS/NZS1891.1Â Industrial fall-arrest systems and devices, and AS/NZS 4488.2 Industrial rope access systems. Our discipline is Heights and our instruction is working safely and rescuing safely. For those working in operational roles undertaking work in confined spaces. Includes gas test atmospheres and working under an issued permit. Gain the skills and knowledge to participate in safe and efficient rescues by applying work at heights and rigging technique methodology safely and competently. Aimed at refreshing candidates who have previously completed Working at Heights and participate in rescue operations within a two (2) year period. Working safely at heights Training is developed for workers who are exposed to the dangers of working at heights on a regular basis.